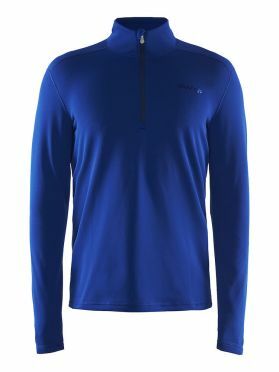 This Craft Sweep halfzip ski mid layer blue/imperial men is keeps you warm during sports or during a walk in the cold winter days. The sturdy polyester material which this shirt is made of provides a good insulation and a quick drainage of moisture, keeping you dry and warm. In addition, the pullover features an ergonomic fit, an extended backrest and a high collar to keep you protected against te cold. 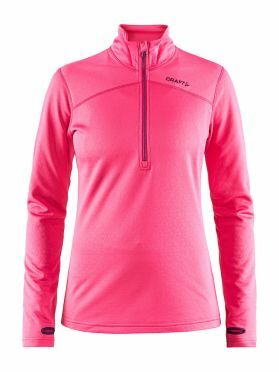 The perfect middle layer during sports or on the slopes. 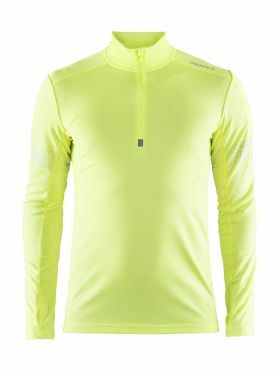 This Craft Brilliant 2.0 halfzip ski mid layer yellow men is a thin and stretchy training jersey with reflective details that offer enhanced visibility during workouts in dark conditions. 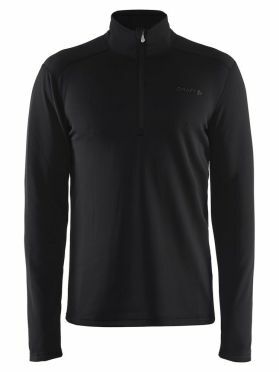 Made of soft, elastic polyester and featuring bodymapped mesh panels, this half zip jersey provides efficient moisture transport and great ventilation. In addition, the jersey comes with thumb holes, sleeve pocket and pre-shaped sleeves. 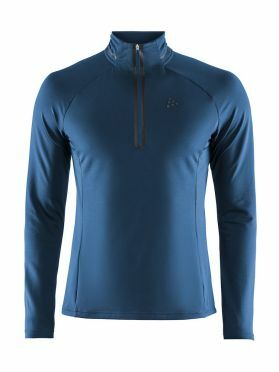 This Craft Prep halfzip ski mid layer blue men is a thin and stretchy training jersey with reflective details that offer enhanced visibility during workouts in dark conditions. Made of soft, elastic polyester and featuring bodymapped mesh panels, this half zip jersey provides efficient moisture transport and great ventilation. In addition, the jersey comes with thumb holes, sleeve pocket and pre-shaped sleeves. 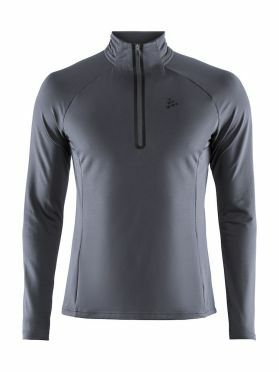 This Craft Prep halfzip ski mid layer grey men is a thin and stretchy training jersey with reflective details that offer enhanced visibility during workouts in dark conditions. 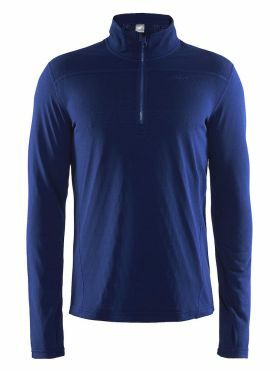 Made of soft, elastic polyester and featuring bodymapped mesh panels, this half zip jersey provides efficient moisture transport and great ventilation. In addition, the jersey comes with thumb holes, sleeve pocket and pre-shaped sleeves. 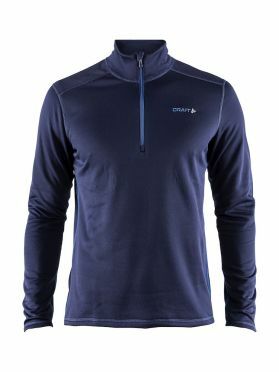 This Craft Pin halfzip ski mid layer blue/soul men is keeps you warm during sports or during a walk in the cold winter days. The sturdy polyester material which this shirt is made of provides a good insulation and a quick drainage of moisture, keeping you dry and warm. In addition, the pullover features an ergonomic fit, an extended backrest and a high collar to keep you protected against te cold. The perfect middle layer during sports or on the slopes. This Craft Sweep halfzip ski mid layer blue/soul men is keeps you warm during sports or during a walk in the cold winter days. The sturdy polyester material which this shirt is made of provides a good insulation and a quick drainage of moisture, keeping you dry and warm. In addition, the pullover features an ergonomic fit, an extended backrest and a high collar to keep you protected against te cold. The perfect middle layer during sports or on the slopes. This Craft Sweep halfzip ski mid layer black men is keeps you warm during sports or during a walk in the cold winter days. The sturdy polyester material which this shirt is made of provides a good insulation and a quick drainage of moisture, keeping you dry and warm. In addition, the pullover features an ergonomic fit, an extended backrest and a high collar to keep you protected against te cold. The perfect middle layer during sports or on the slopes. This Craft Tag hoodie ski mid layer gray men is the sweater for every day. 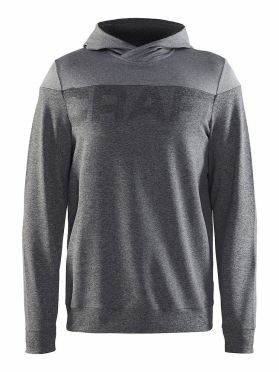 With its loose cut, the hoodie can be worn during sports and leisure. The large hood, thumb holes and the integrated kangaroo pocket provide both function and comfort. 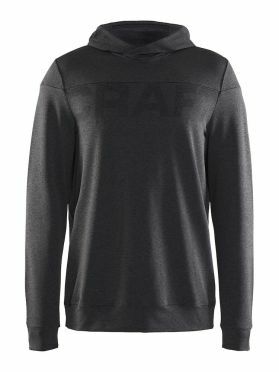 This Craft Tag hoodie ski mid layer black men is the sweater for every day. With its loose cut, the hoodie can be worn during sports and leisure. The large hood, thumb holes and the integrated kangaroo pocket provide both function and comfort. The hoodie attracts attention with a fashionable CRAFT logo appliqué on the hem. 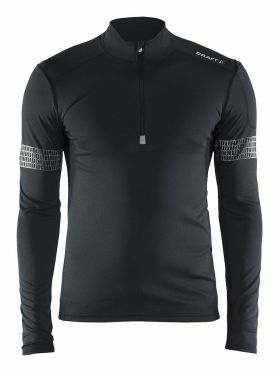 This Craft Brilliant 2.0 halfzip ski mid layer black men is a thin and stretchy training jersey with reflective details that offer enhanced visibility during workouts in dark conditions. 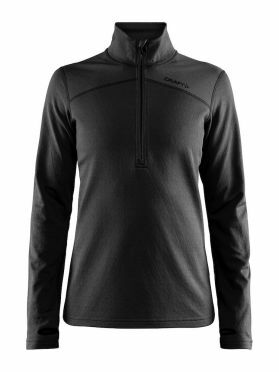 Made of soft, elastic polyester and featuring bodymapped mesh panels, this half zip jersey provides efficient moisture transport and great ventilation. In addition, the jersey comes with thumb holes, sleeve pocket and pre-shaped sleeves. 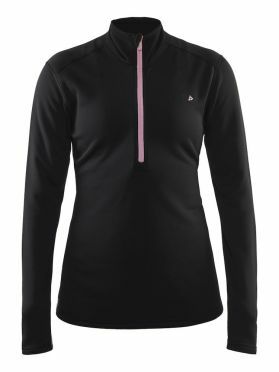 This Craft Sweep halfzip ski mid layer black/pink women is keeps you warm during sports or during a walk in the cold winter days. The sturdy polyester material which this shirt is made of provides a good insulation and a quick drainage of moisture, keeping you dry and warm. In addition, the pullover features an ergonomic fit, an extended backrest and a high collar to keep you protected against te cold. The perfect middle layer during sports or on the slopes. 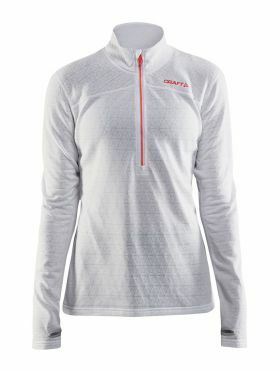 This Craft Pin halfzip ski mid layer white women is made of a thin and structured polyester fleece that offers a smooth touch and a unique expression. The item offers good moisture transport and comes with long zipper that enables enhanced ventilation, thumbholes for extra comfort, longer back, flatlock seams and embroidered logo. Works perfect both for workouts and everyday use. This Craft Pin halfzip ski mid layer pink women is made of a thin and structured polyester fleece that offers a smooth touch and a unique expression. The item offers good moisture transport and comes with long zipper that enables enhanced ventilation, thumbholes for extra comfort, longer back, flatlock seams and embroidered logo. Works perfect both for workouts and everyday use. This Craft Pin halfzip ski mid layer black women is made of a thin and structured polyester fleece that offers a smooth touch and a unique expression. The item offers good moisture transport and comes with long zipper that enables enhanced ventilation, thumbholes for extra comfort, longer back, flatlock seams and embroidered logo. Works perfect both for workouts and everyday use. This Craft Sweep halfzip ski mid layer black women is keeps you warm during sports or during a walk in the cold winter days. The sturdy polyester material which this shirt is made of provides a good insulation and a quick drainage of moisture, keeping you dry and warm. In addition, the pullover features an ergonomic fit, an extended backrest and a high collar to keep you protected against te cold. The perfect middle layer during sports or on the slopes. 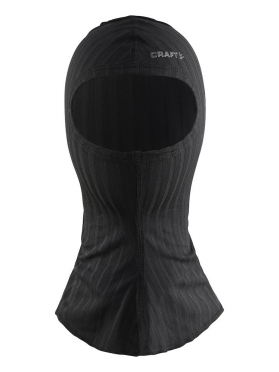 The Craft Extreme 2.0 face protector black is usable to protect your face in very cold circumstances! It's kind of a balaclava, but with thermal fabrics to ensure a comfortable warm face. The material feels quite thin, but this is the strong force of this active extreme 2.0 thermal balaclava. 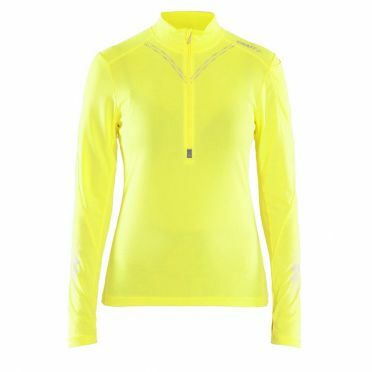 This Craft Brilliant 2.0 halfzip ski mid layer yellow women is a thin and stretchy training jersey with reflective details that offer enhanced visibility during workouts in dark conditions. Made of soft, elastic polyester and featuring bodymapped mesh panels, this half zip jersey provides efficient moisture transport and great ventilation. In addition, the jersey comes with thumb holes, sleeve pocket and pre-shaped sleeves.